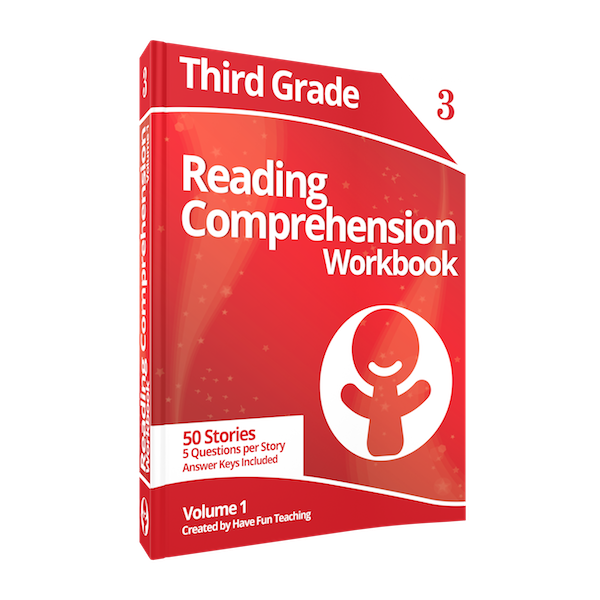 Third Grade Reading Comprehension Workbook Volume 1 includes 50 comprehension stories. 5 test questions per story. Answer key included.